Southeast Asia is home to some of the world’s most beautiful beaches and islands — and living in Singapore means you can hop on a plane on a weekend and be delivered to a tropical paradise in just a few hours. 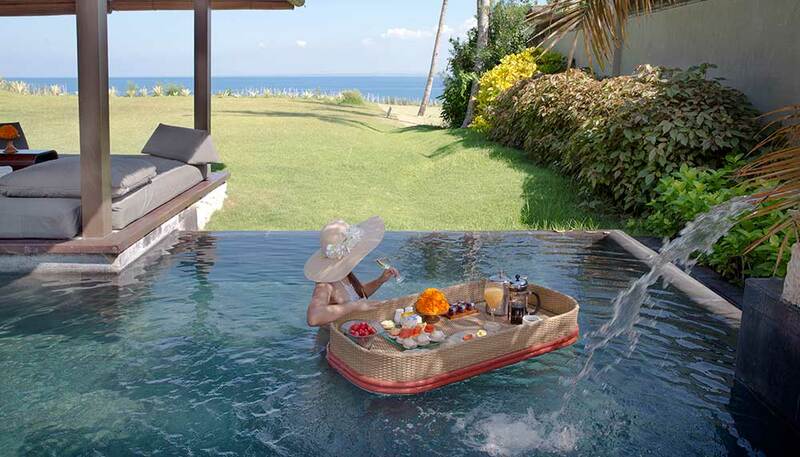 If your idea of a short break for the upcoming Good Friday holiday involves total privacy, incredible facilities, spectacular views and immaculate butler services, take your pick from the slick resorts and villas listed below. Then kick back, reset and recharge. 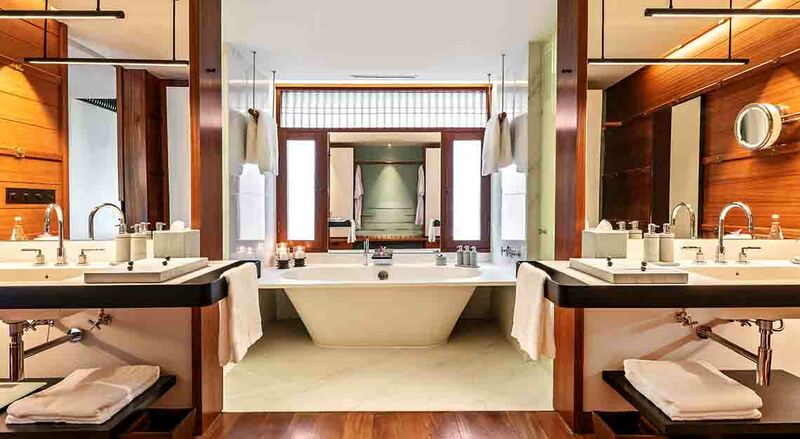 When you take in the outdoor wooden bathtubs and enormous bathrooms with glass-fronted showers overlooking the pool (there’s a curtain for shyer types), it’s a resort best explored – the first time, at least – by two. 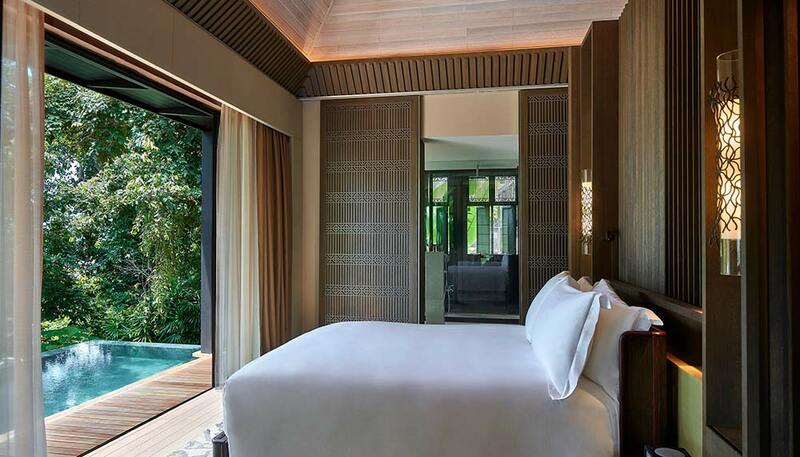 From your king bed, you can slide open the doors of the lounge area and plunge straight into your infinity pool, or stroll outside to your villa’s terrace and relish an al fresco Champagne breakfast. 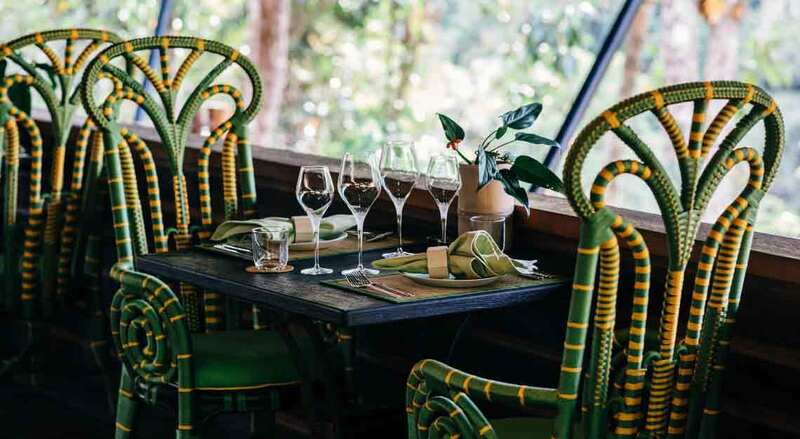 Sunset barbecues are also possible, overseen by a private chef who’ll grill your seafood to perfection as you relax on a sunbed above the lawn, listening to the hum of the rainforest as the sun dips below the sea. Without a listed address on its site, it’ll take some effort to get to the resort. What it promises though, is isolation and secrecy needed to disconnect from the world. 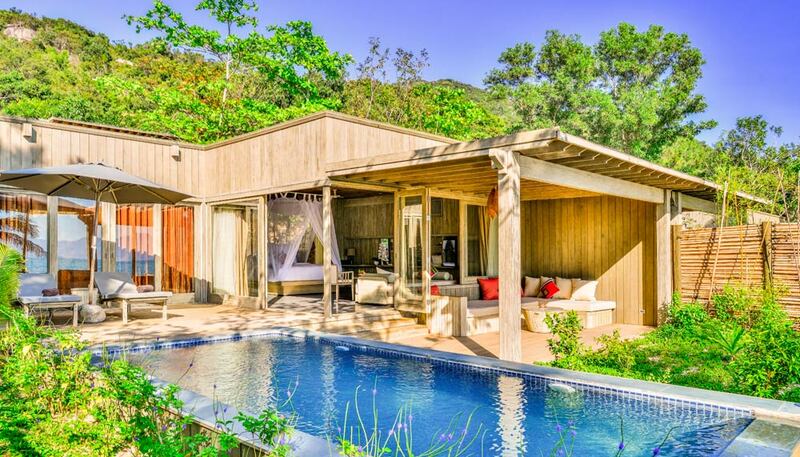 The resort offers just 33 standalone timber villas, each occupying at least 95sqm and outfitted with modern luxuries. But take it from us, you’ll be spending a lot more time on the private verandahs of the villas, where ocean and waterfall vistas await. 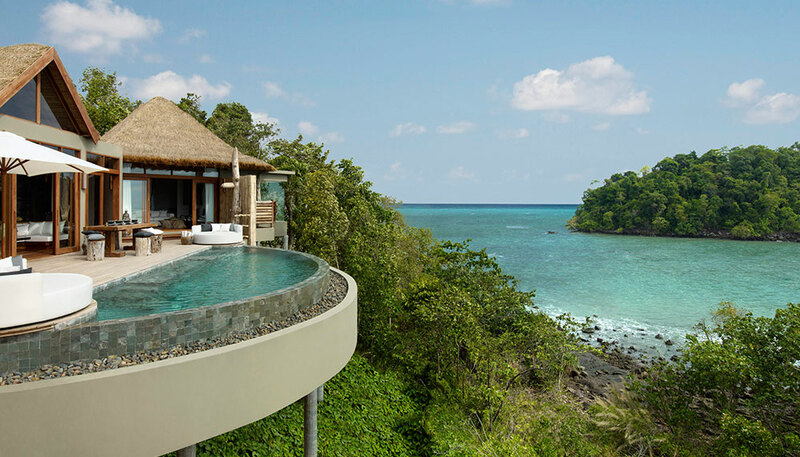 Depending on the villa chosen, you may also choose to soak in the outdoor bathtub (Jungle Rock villa) or the plunge pool (Bay View, Beach and Treetop Pool villas). 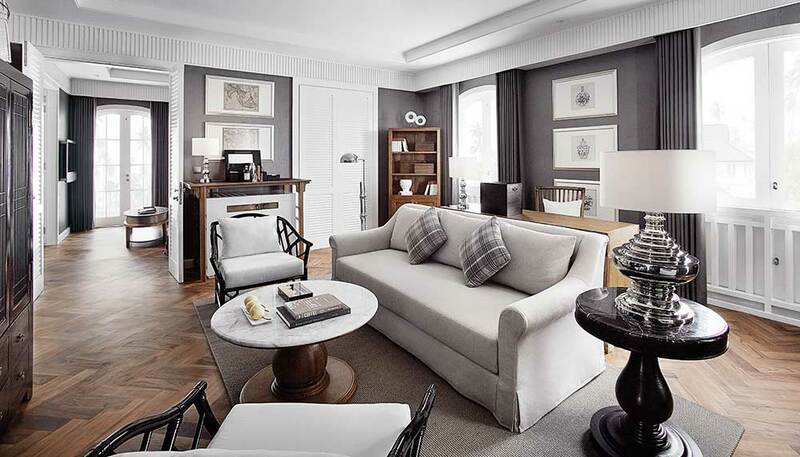 The rooms strive to be as self-contained as possible, but for sudden requests for afternoon snacks or activity suggestions, your private butler will see to it. 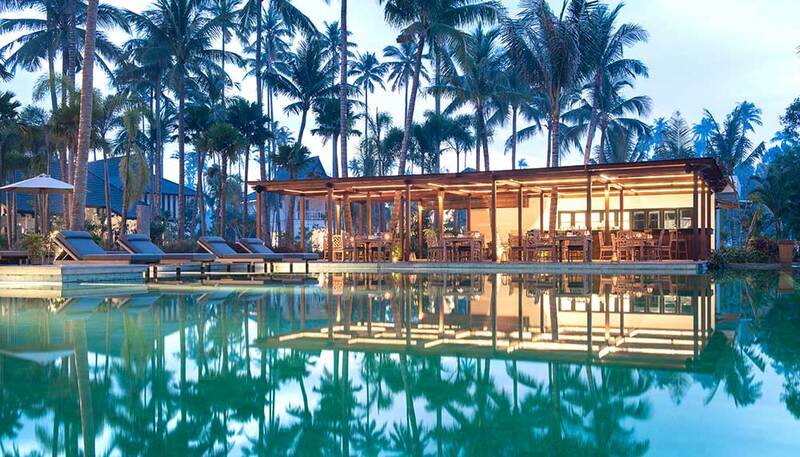 What can one anticipate from a resort that sits on almost 100 hectares of land? 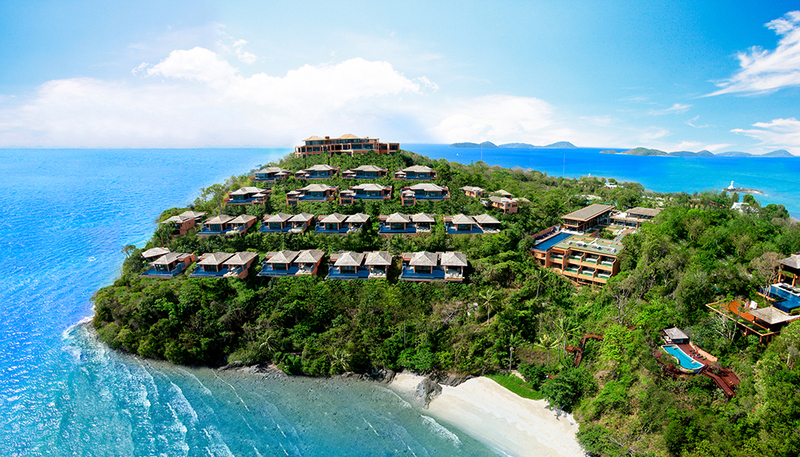 Now, don’t hold your breath, but that’s the size of Ayana Resort and Spa. 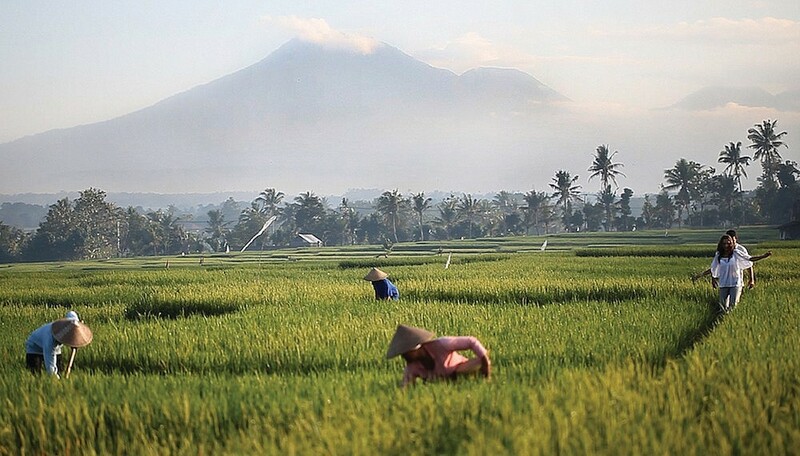 And it’s also Bali’s one and only fully-integrated resort that’s home to three hotel properties, 19 restaurants and bars, 12 swimming pools and an astounding 15 wedding venues. 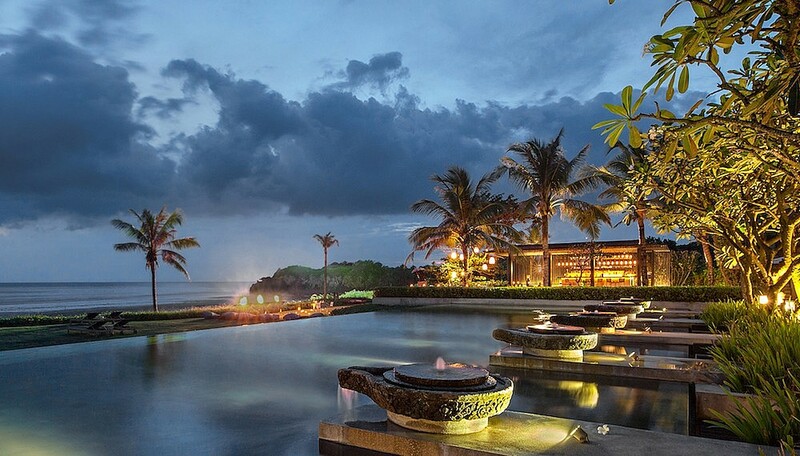 Perched above Jimbaran Bay and a mere 30-minute drive from Ngurah Rai International Airport, the resort offers three distinct properties for its visitors: Ayana Resort and Spa, Rimba Jimbaran Bali and The Villas. 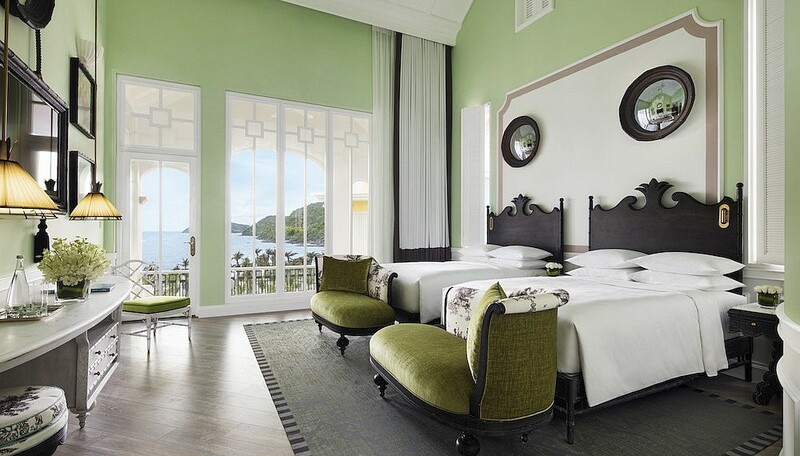 While the former two are better suited for those travelling with friends and family, the latter offers the most lavish and dreamy setting for couples on romantic escapades. 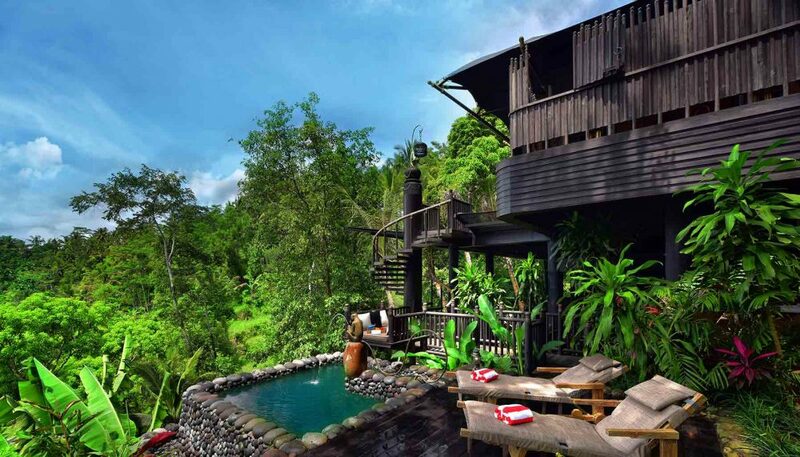 Capella Ubud is a five-star resort that takes glamping to a whole new level with private retreats in a secluded rainforest. Plus, with just 22 one-bedroom retreats and a unique two-bedroom lodge spread across the property, you’ll barely see your neighbours. 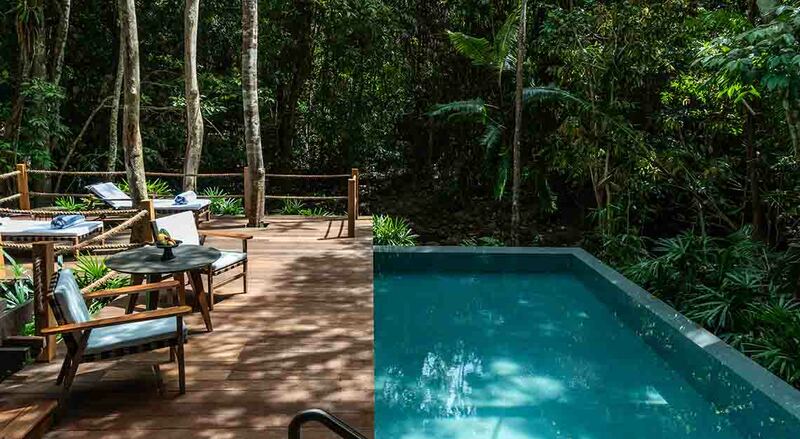 Each retreat comes with a private saltwater plunge pool — ranging from nine to 27sqm — and a large outdoor deck with vantage views of the surroundings. Keen on exploring the outdoors? Camp Rangers are on hand to guide you through adventure wellness activities including mud pilates, mountain biking, walks through paddy fields and jungle boot camps. 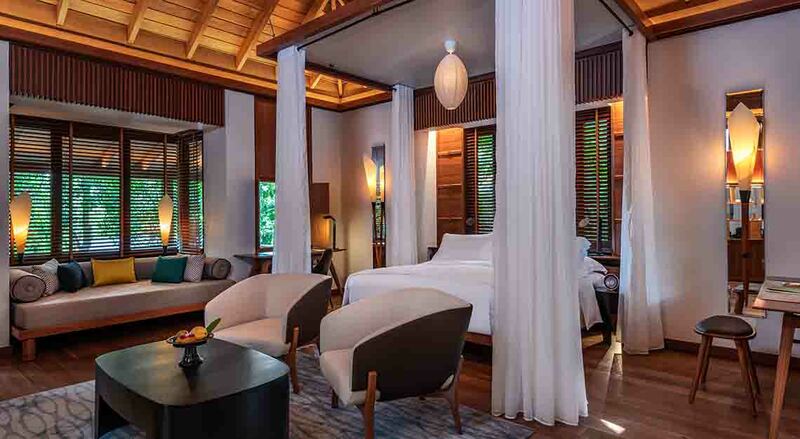 Located just off the coast of Indonesia’s Riau Archipelago and a private boat ride away, Cempedak Island, the new sibling atoll of tropic retreat Nikoi, welcomes visitors to a rustic bamboo utopia, where both worries and footwear are left on the island banks, even if only for a moment. 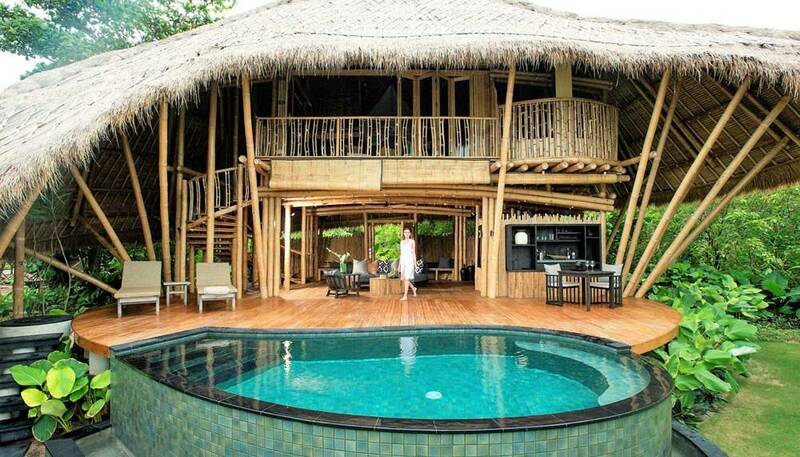 The adults-only haven flaunts hillside and beachfront bamboo villas, each embraced by either sandy beaches or untouched rainforest. Each two-storey villa spans over 150sqm and boasts a plunge pool and grandiose deck that invites guests to gaze endlessly at the horizon. 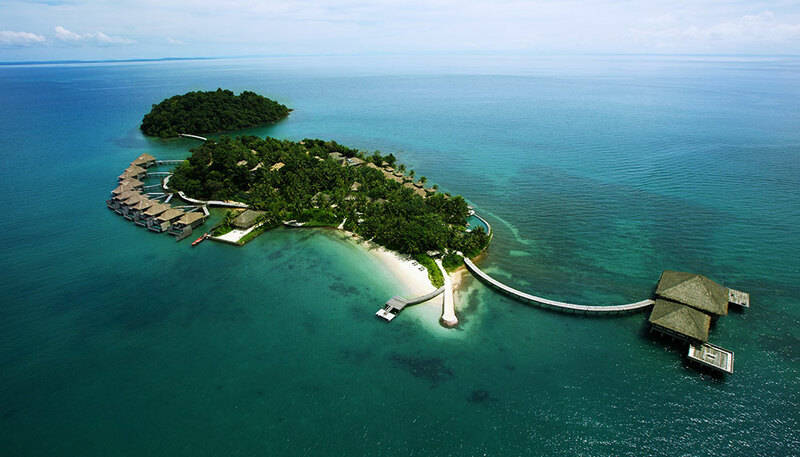 Cempedak Island has conservation at its forefront: its structures built using bamboo, alang alang grass, recycled teak, lava stone and petrified wood. 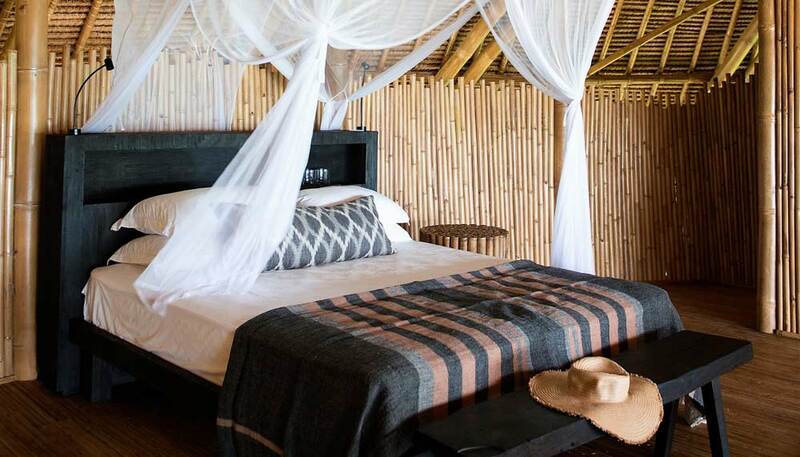 The vernacular design of the villa and its crescent shaped roof consistently channel streams of air through the villa, keeping the heat at bay, while at night, the land breeze does the trick of lulling you to sleep. In the rarefied stratosphere of high-end hospitality, there is one name that will perk ears. Bill Bensley. 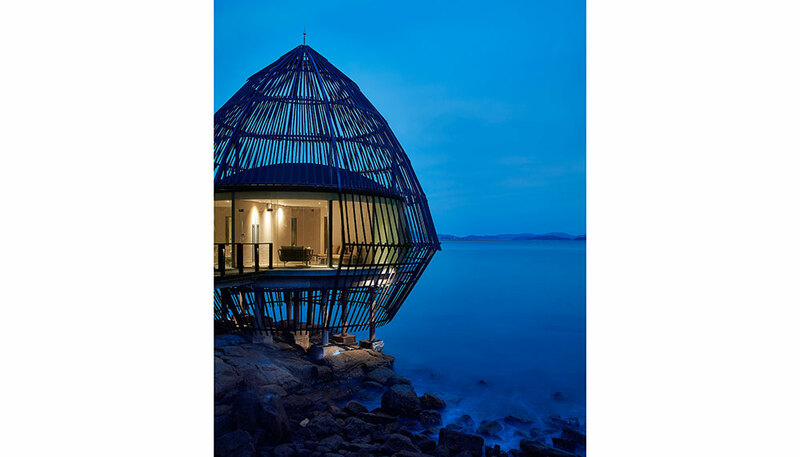 The architect is responsible for some of the most distinctive luxury hotels and resorts across Asia, including this gem of a hotel located in the Gulf of Thailand on Phu Quoc island, which lies on the maritime border between Vietnam and Cambodia. 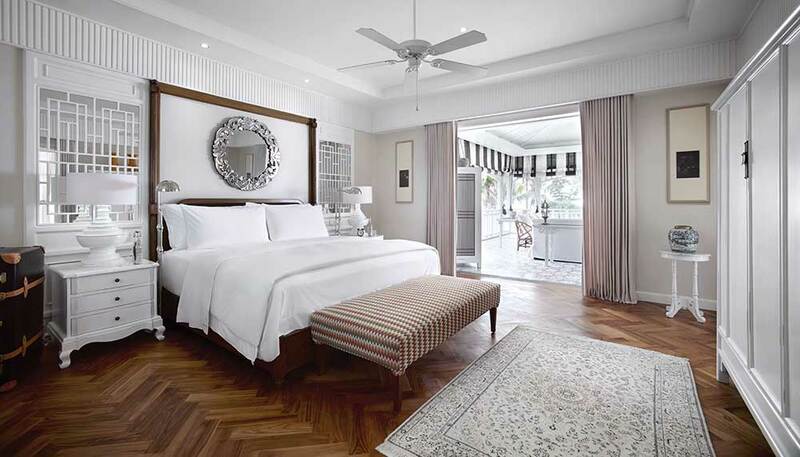 The concept for JW Marriott Phu Quoc is hushed academic halls—or more accurately, the Lamarck University, built on Phu Quoc in 1880. 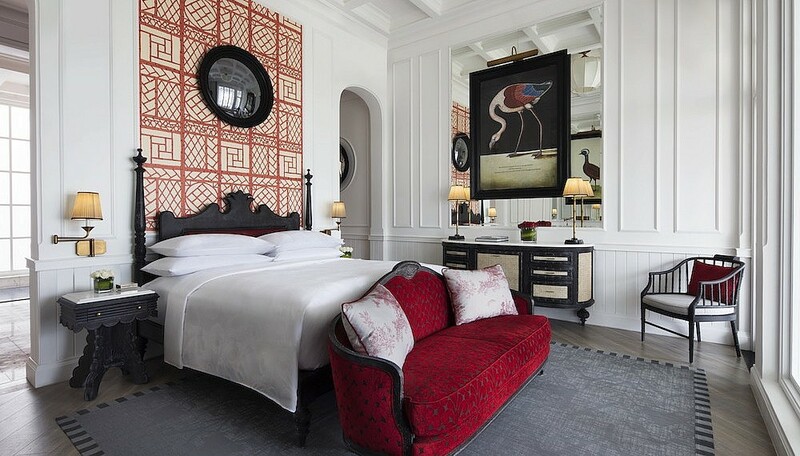 Delineating the difference wings of the hotel into different educational departments – the Department of Zoology carries animal motifs, for example, with cheeky animal-shaped weather vanes on the roof – it also affords the hotel’s 243 rooms, suites, apartments and villas a sense of unique character. 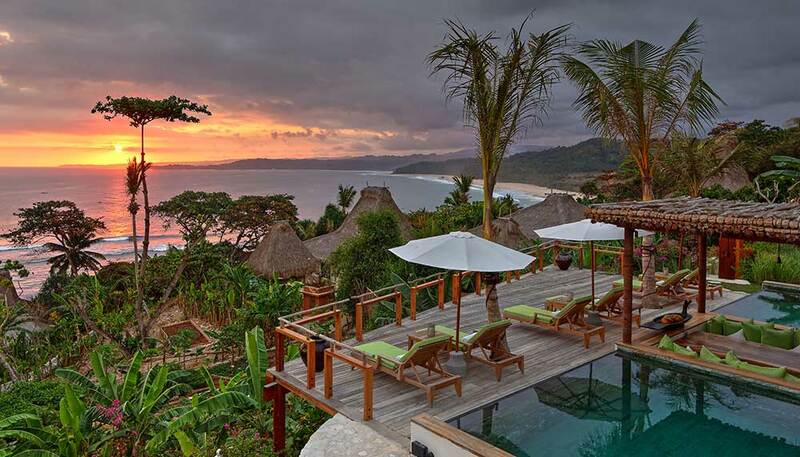 There are 27 villas scattered across Nihi Sumba Island. The name may have changed, but the superb views, service standards and satisfaction levels certainly haven’t. 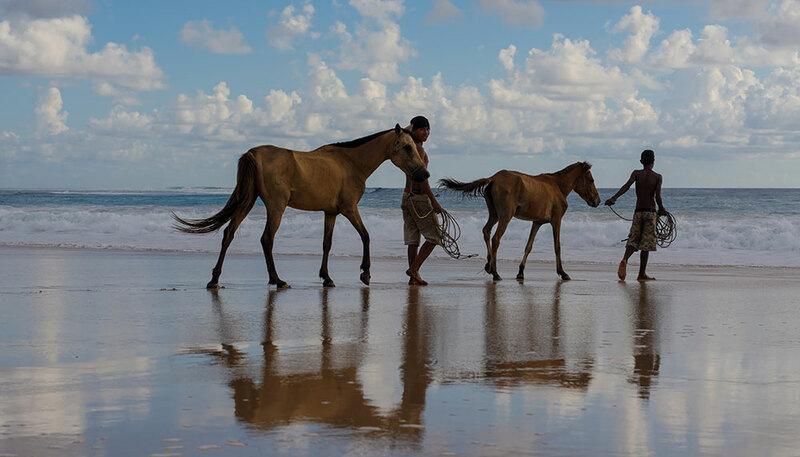 Nihi Sumba Island – previously known as Nihiwatu – continues to impress guests year after year. 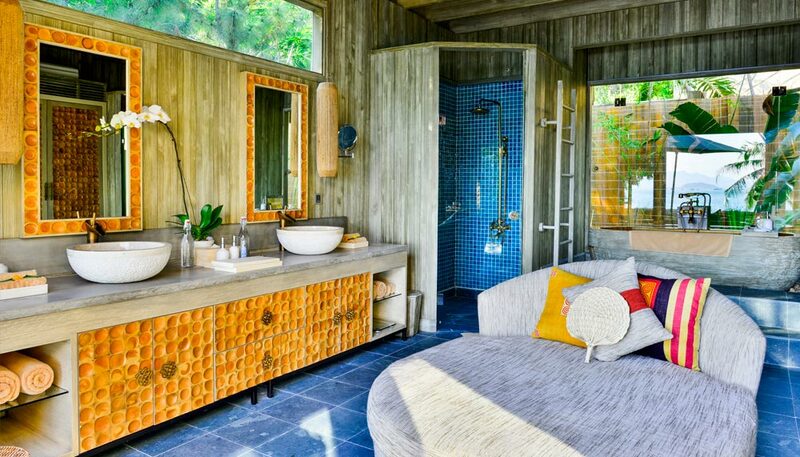 Privacy is key at the resort, with each of the 27 villas scattered across the island. 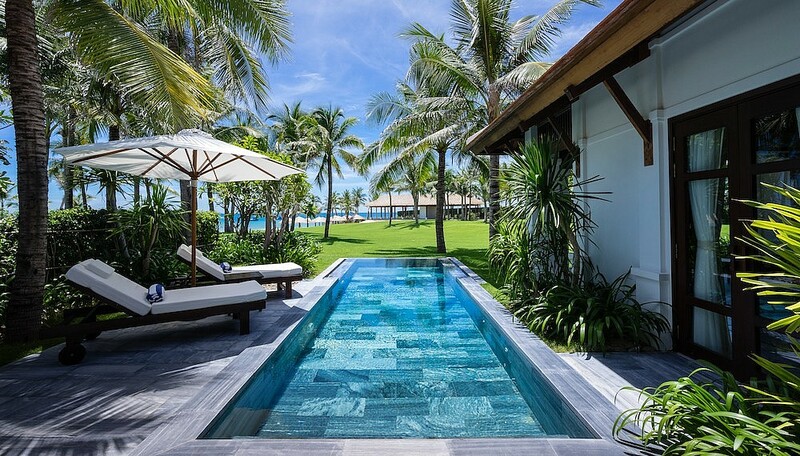 Each also comes with a private pool, perfect for when you’ve no desire to leave your villa. Travelling in a bigger group? 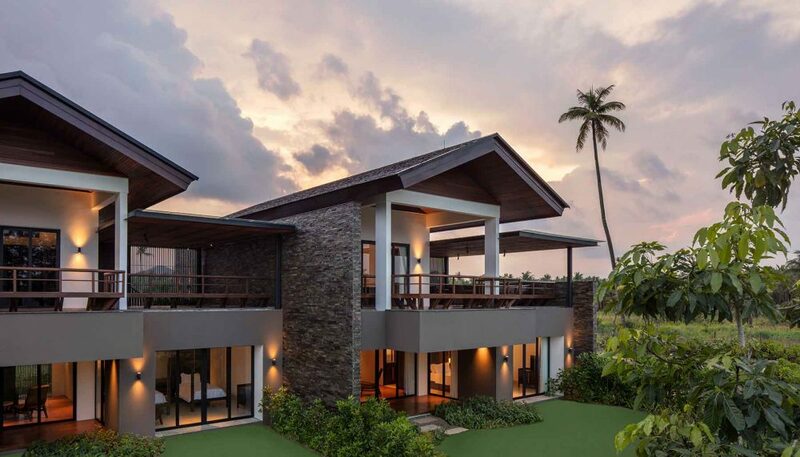 The villas come with one- to five-bedroom options, and guests can opt for a resort buyout too. 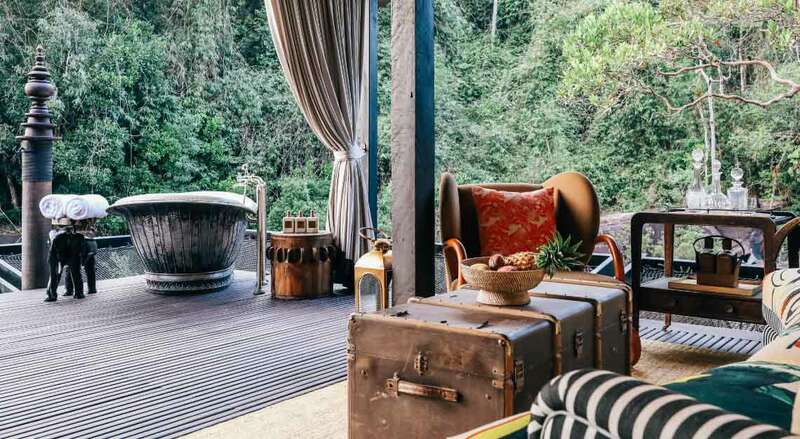 Set deep within this pristine wildlife corridor, the Shinta Mani Wild – Bensley Collection is all about luxury tented camping, or glamping, as we like to call it. 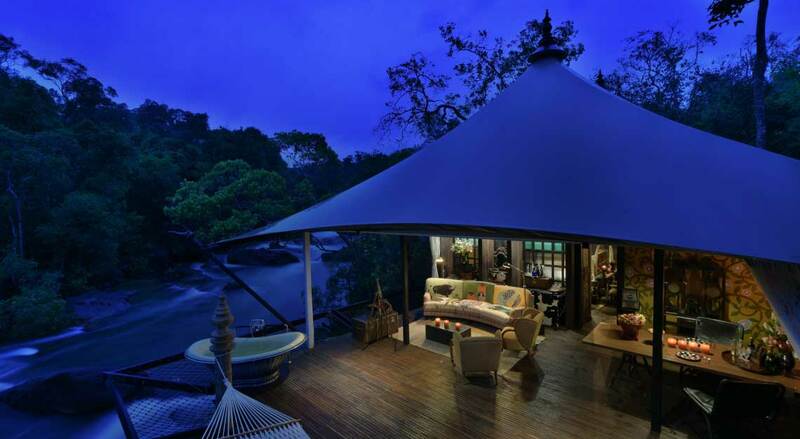 Said to be inspired by Jacky O’s 1967 with King Sihanouk, these custom-designed tents sit over swift-moving waterfalls and rivers, offering you with a view that’s unlike any other resort in Asia. 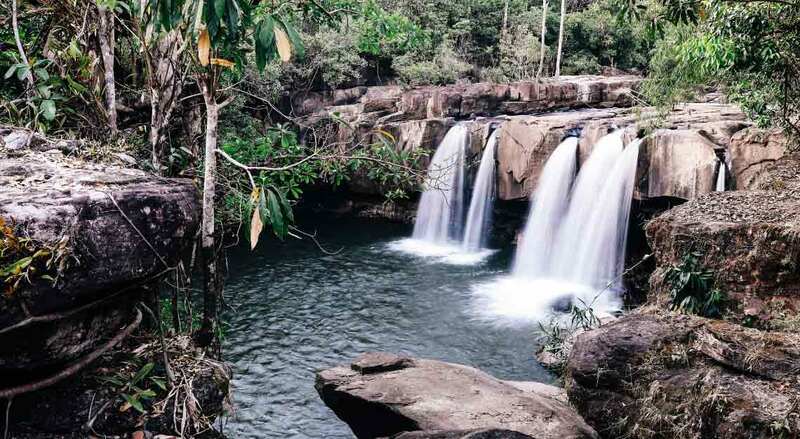 Upon arriving by helicopter, you can choose from a variety of experiences within the forest – spend the day exploring the wild estuarian ecosystem via one of the resort’s luxury expedition boats or accompany the resort’s rangers and researchers as they check camera traps, study the forest’s wild inhabitants and go on anti-poaching patrols. 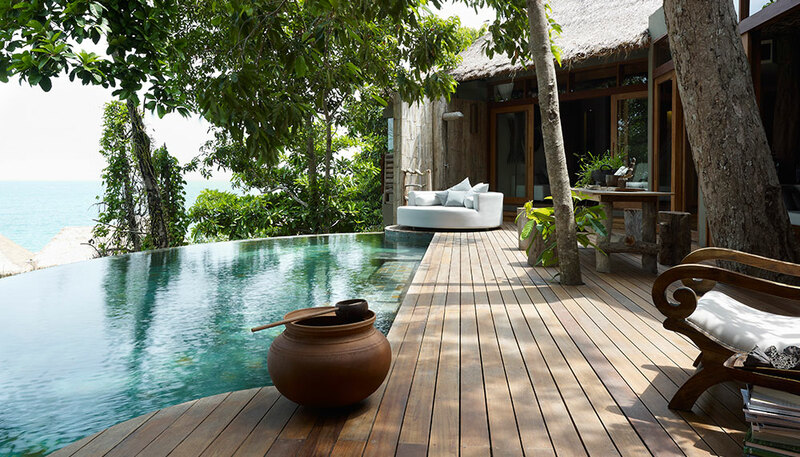 Consisting of 27 villas that can be booked individually or en masse for the true private island experience, Song Saa offers unprecedented access to the pristine Koh Rong, still unknown to most travel itineraries. 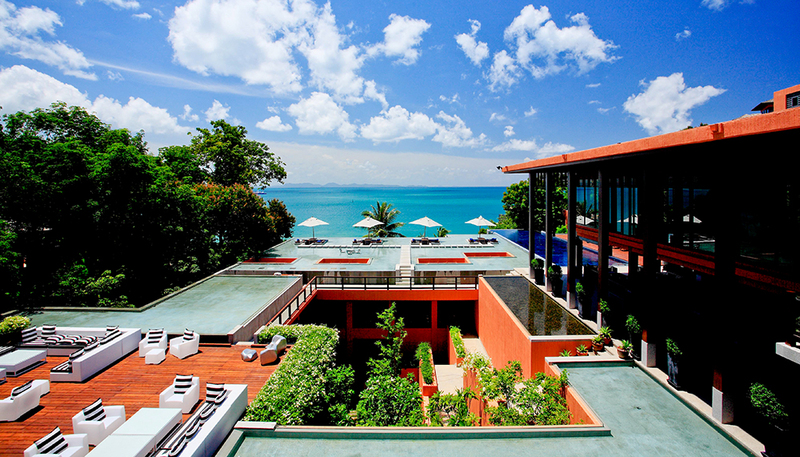 The villas are sumptuous, with some clever natural accents – during construction, Melita Hunter sent fishing boats on daily excursions through the Gulf of Thailand to gather branches, warped tree trunks and the remains of painted longtail fishing boats that the organic-sculpture artist placed discreetly across Song Saa’s buildings. 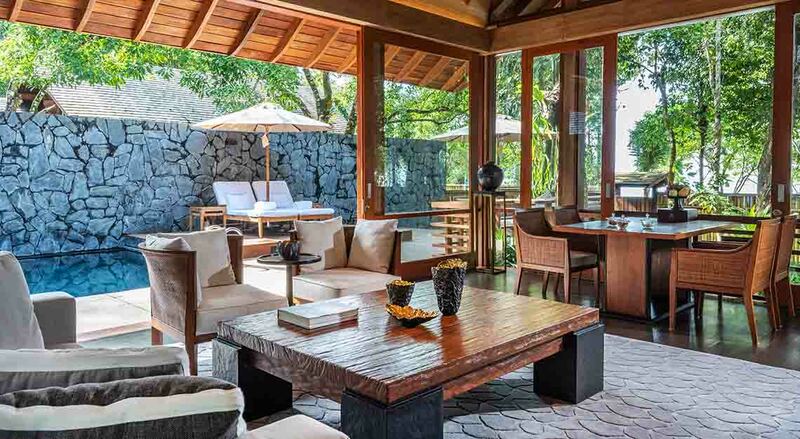 Perched between the mountains and the sea – the perfect equilibrium in feng shui – Soori Bali commands attention. 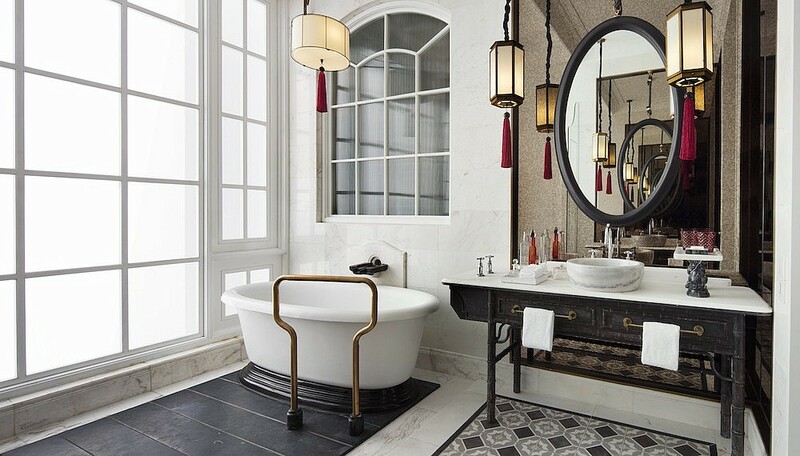 Relaunched as the introductory salvo to luxury lifestyle brand Soori, the property exemplifies the group’s ethos of ‘living exceptionally well through holistic design’, which, in this case, comes in the form of 48 refreshed villas and residences, each with its own private pool. 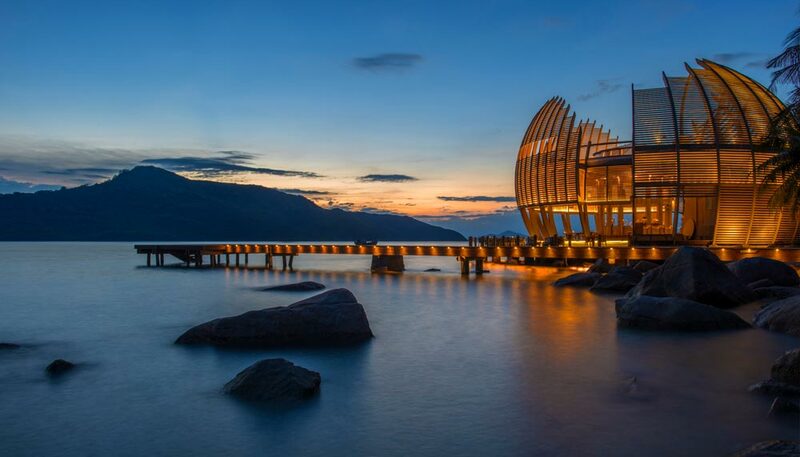 There is also the ten-room Soori Estate, an enclave within an enclave, with its own infinity pool, gym, spa, kitchen, chauffeured car, private butler and, by the end of the year, a unique cantilevered platform hovering over the sea. 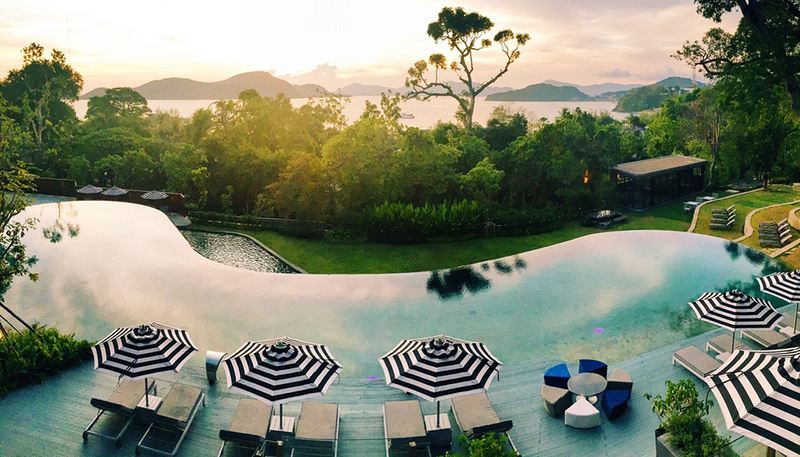 With a view like this, will you ever step out of the swimming pool? Sri Panwa gently hugs the curves of Panwa’s coastline, occupying nearly 60 hectares of land, and, at its highest, sits at 60m above sea level. The roads form a labyrinth of paths, meandering to secret nooks and crannies for one to explore. 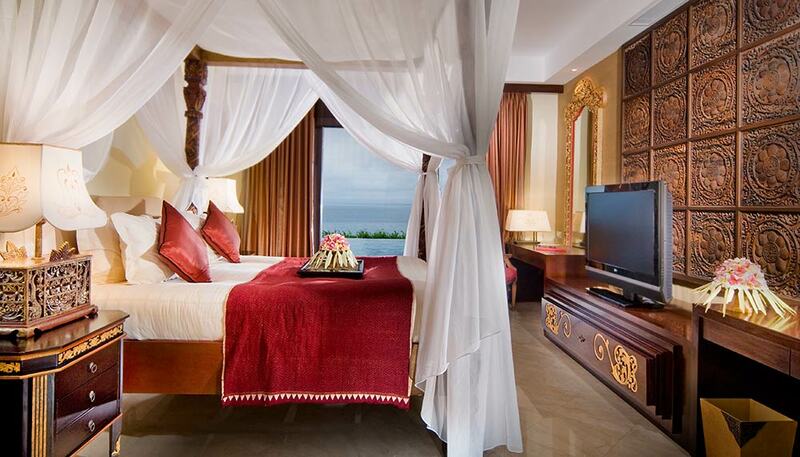 The resort can be broadly split into two categories. 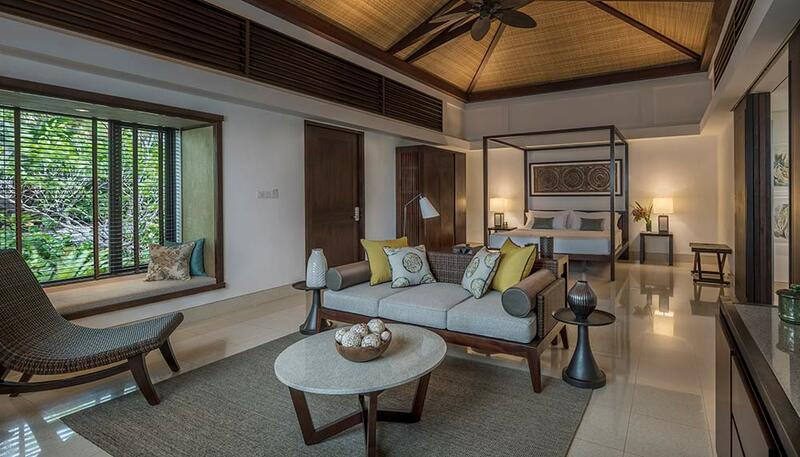 Social areas at Sri Panwa include Baba Poolclub, Baba Nest and Cool Spa amongst others, while private areas include villas, residences and its latest addition, The Habita. 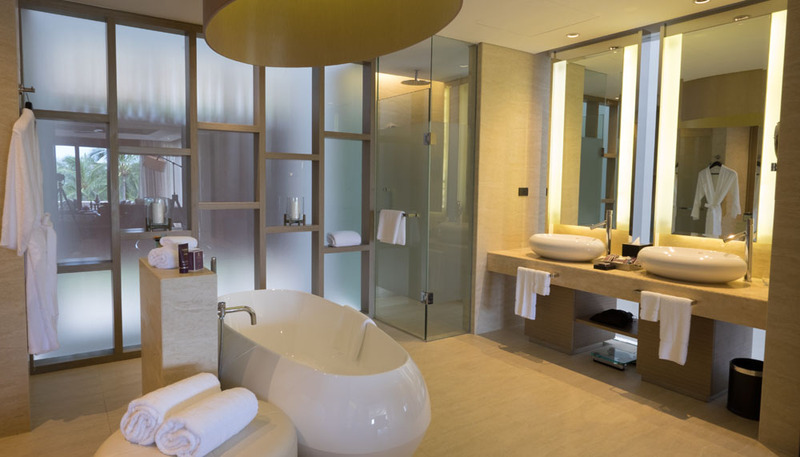 It consists of a collection of restaurants, pools, 20 pool suites (70sqm) and 10 penthouses (140sqm). While the penthouses are equipped with a kitchen and larger living area, both options include a balcony with an infinity lap pool. It isn’t difficult to hole yourself up in the room, but for those who wish to socialise, a communal 50m pool sits just below. 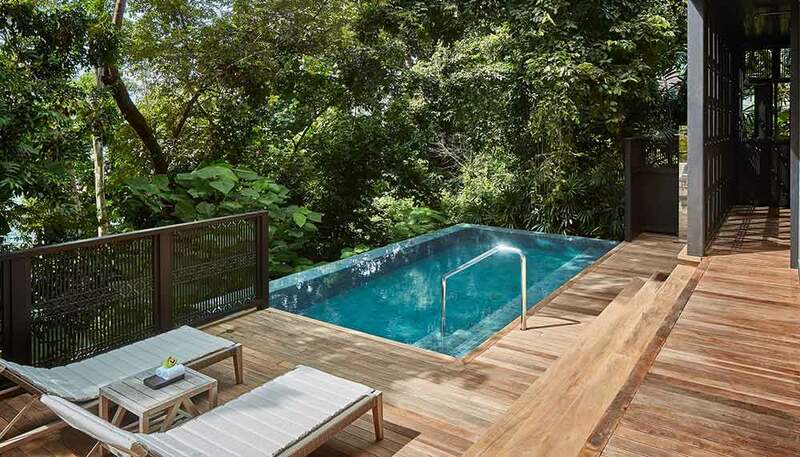 Apart from a kid’s play area, the curvaceous pool ends with a waterfall feature that leads to a splash pool. Clarity. It’s the first word that springs to mind at The Anam. There is crispness in the views, and a bracing brine as the wind rushes up from the sea to disperse around the resort’s pathways and pavilions. It wakes you up. 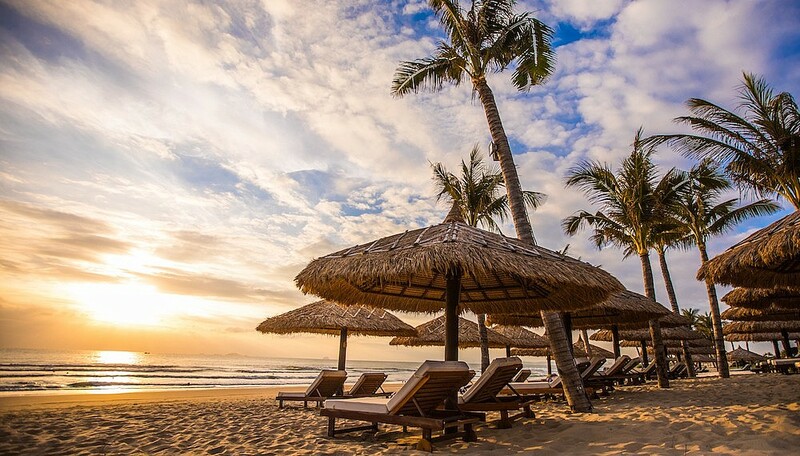 Named after one of Vietnam’s historical titles, The Anam rests on a slight rise, tumbling towards the ocean. The Deluxe Collection building (with its 96 rooms) and 12 double-storey villas command the back half of the property, a perch that affords panoramic views fringed with palm trees. For a resort so new, it is surprisingly verdant; foresight led the landscaping team to use plants from the area, which adapted faster and better to transplanting. The result: instant lushness. 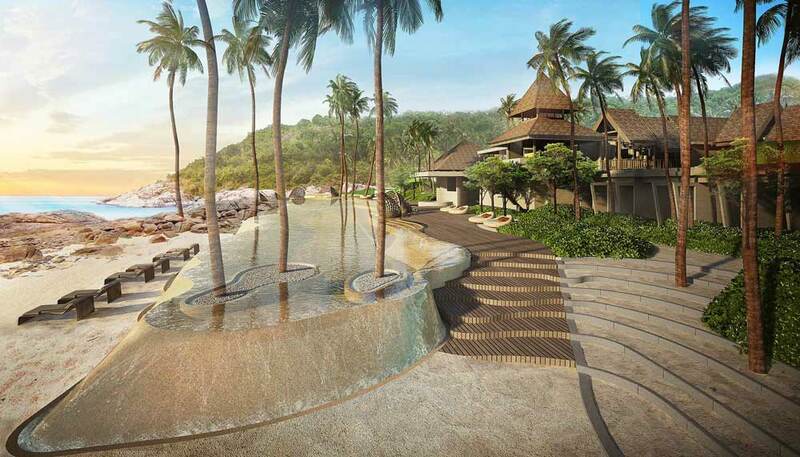 Nestled in the heart of a 10-million-year-old coastal rainforest, The Datai Langkawi – voted as one of the World’s Top 10 Beaches by National Geographic – recently reopened its doors after a 12-month renovation. It offers luxe accommodation, access to an array of cuisines, nature- and culture-based experiences and pampering spa treatments. 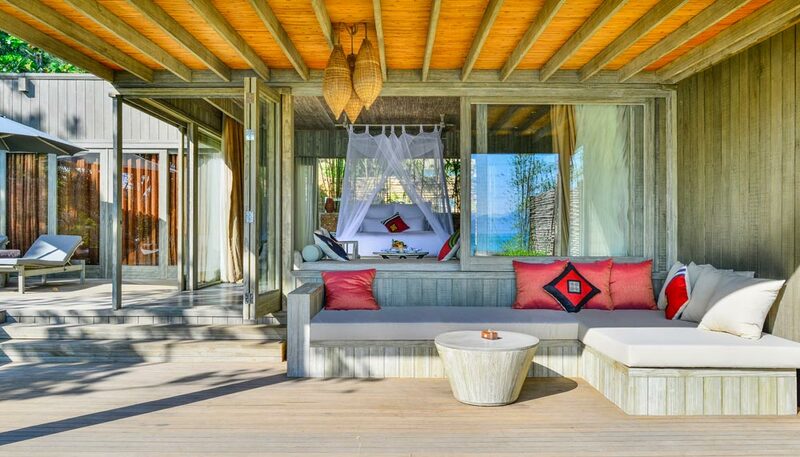 If you’ve visited The Residence in Mauritius, Zanzibar, Maldives or Tunisia, then you’d have an idea of what to expect at Cenizaro Hotels & Resorts’ Indonesian outpost. 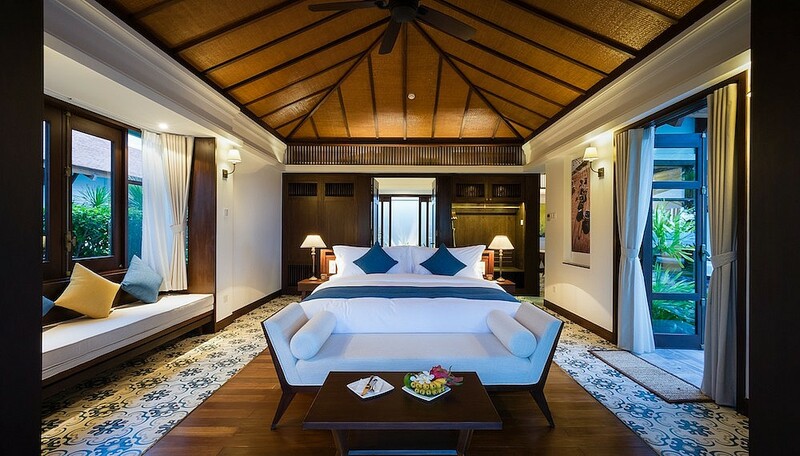 Think pristine beaches, a respite from the city, barefoot luxury, unobstructed, panoramic views of the South China Sea, open landscapes and tropical gardens. 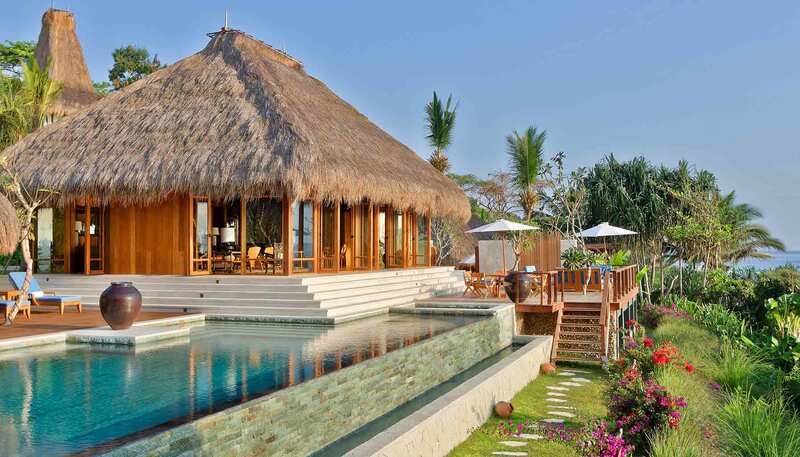 Select your abode that comes in the form of Beachfront and Estate Villas, along with Vista and Garden Terraces. 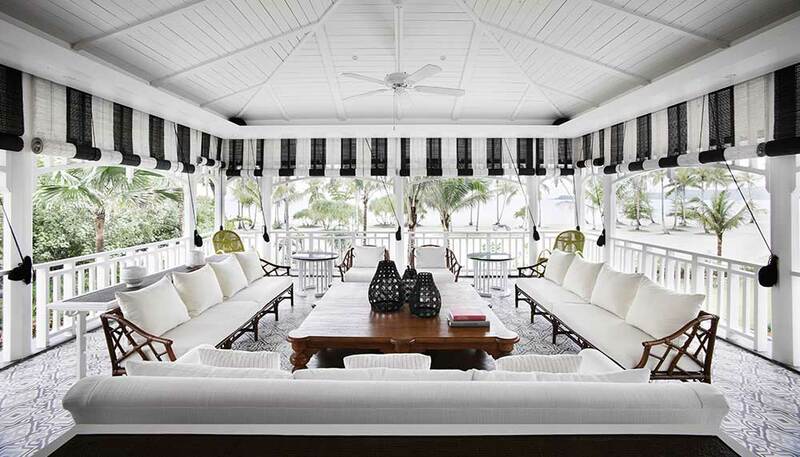 Depending on which you pick, sheltered open verandas, private outdoor decks and infinity pools await. Those travelling in a group can also opt for interconnected units. 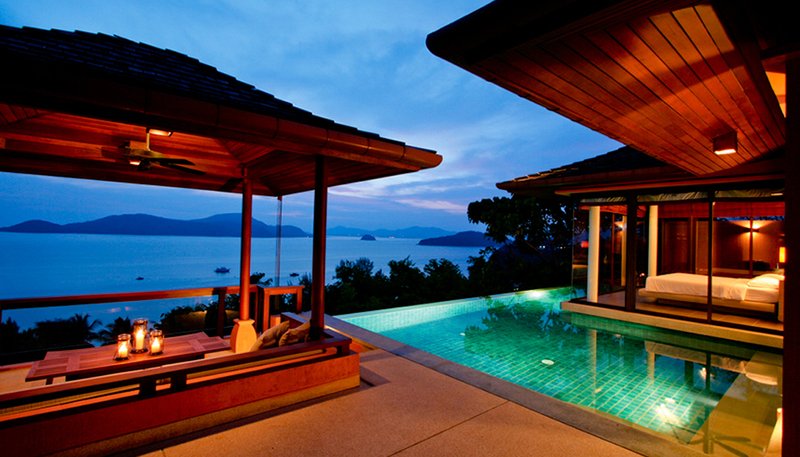 Situated on a sprawling 58 acres of an alcove reaching from coastline to cliff on the north-eastern part of Thailand’s most exclusive island, The Ritz-Carlton, Koh Samui comprises 102 Ocean View Suites; 12 two-bedroom Ocean View Suites; 37 Ocean View Pool Villas; 23 Ultimate Pool Villas, and the Villa Kasara. Room amenities include high-definition LCD televisions with a wide range of satellite channels; complimentary Internet access, a powered safe; as well as tea and coffee making facilities. 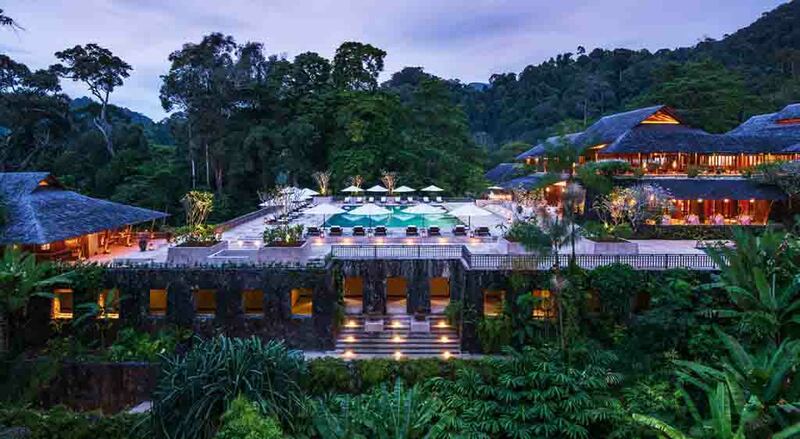 Upon stepping into the newly built The Ritz-Carlton, Langkawi, you may feel that you’ve travelled through a time capsule and landed in Malaysia in the 60s. 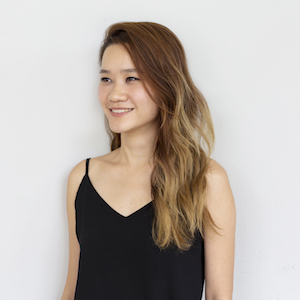 For one, the designs reminisce of a traditional Malay village. Take for example the overwater spa: locals will point out that this is how a kelong (floating village) looks like. 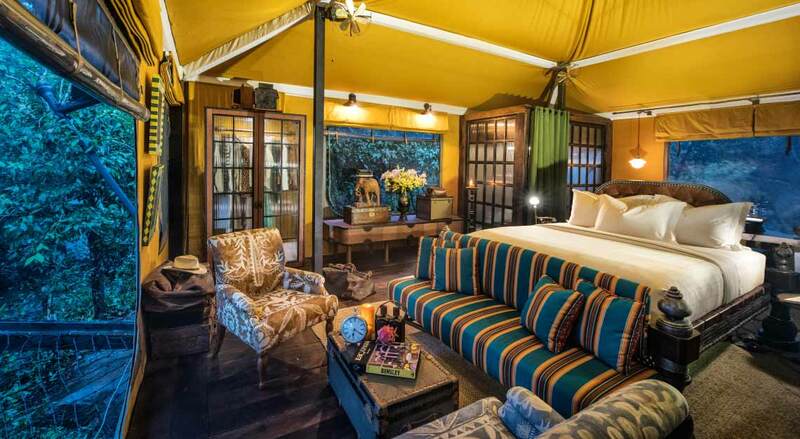 The main lounging areas also feature gabled roofs, which are still used in huts located in rubber plantations. 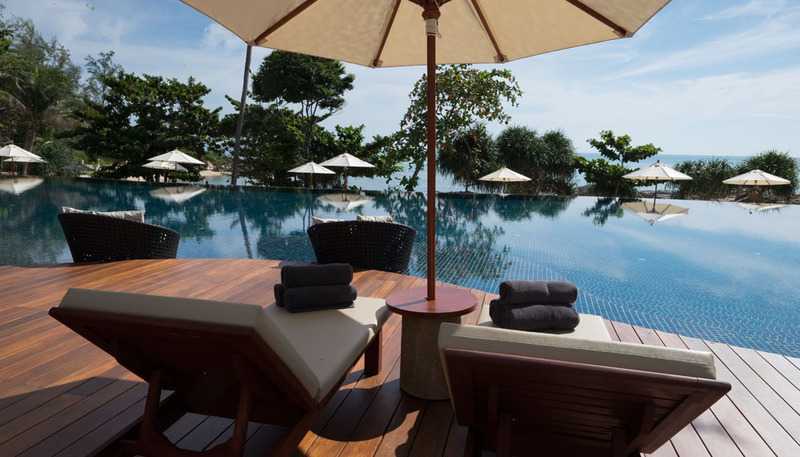 Each of the 29 villas is a gem in itself (there are also 75 guest rooms and 15 suites), looking out to the Andaman sea or rainforest. 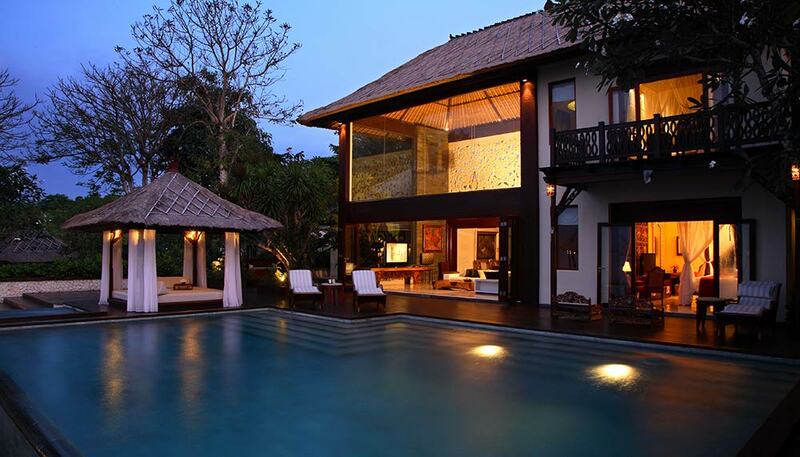 In particular, the three-bedroom Villa Mutiara feels like you’re living in a modern treehouse. 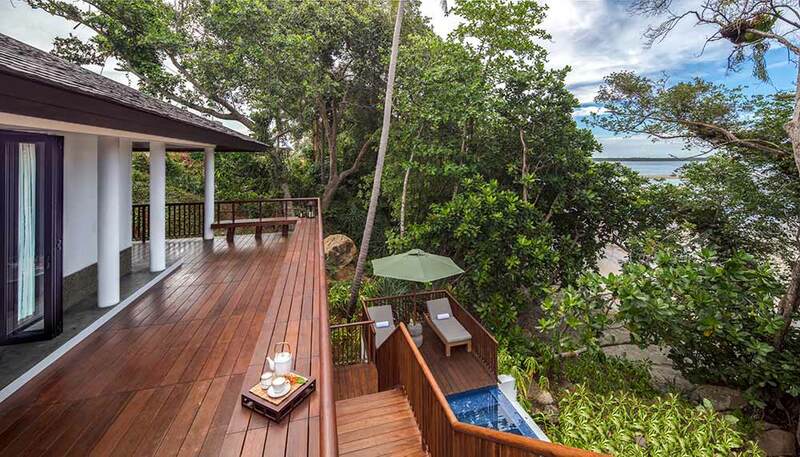 It comes with not one, but two private pools that’ll let you enjoy both sea and forest views. Excessive? Perhaps. 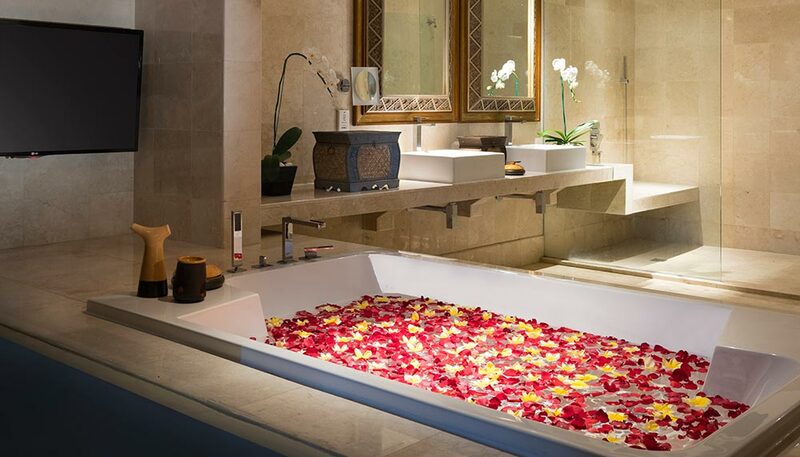 But what’s luxury without excess? 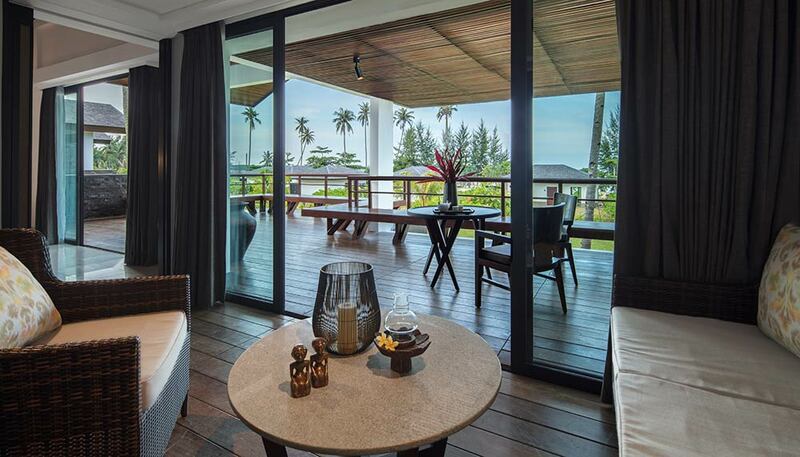 It’s been four years since The Sanchaya Bintan started welcoming guests, and one may wonder if it’s in need of a fresh coat of paint. Having paid a visit over a weekend, here’s my verdict: the resort doesn’t need it. It’s everything you see on its website and on its social media accounts. Let’s face it, a picture paints a thousand words, and the team at Sanchaya has done a fantastic job in ensuring that the property always looks #pictureperfect and #instaworthy. Space is obviously not a constraint in The Villa Luang Prabang. 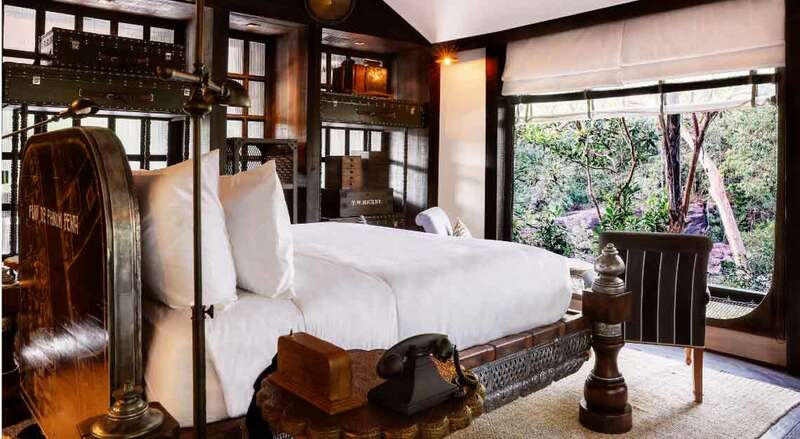 Its four-bedroom villa, a mansion that used to belong to a Laotian princess, is split into two, with both levels offering a living area, dining area, and two ensuite bedrooms. Your stay here includes breakfast, with rotating fanfare of bread rolls and freshly cut fruit one day, and rice noodles in chicken broth the next. Of course, if you wish to try something you saw on the streets, just let the butler know the night before. There’s no spa or gym in the villa, but there is sprawling garden that’s perfect for children to run around, along with a lap pool.